A dazzling new collection of essays, poems, and prose poems by the best-selling author of The Leaf and the Cloud and What Do We Know. “The gift of Oliver’s poetry is that she communicates the beauty she finds in the world and makes it unforgettable” (Miami Herald). 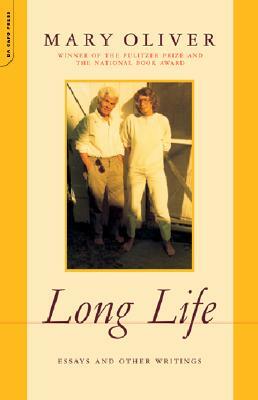 This has never been truer than in Long Life, a luminous collection of seventeen essays and ten poems. With consummate craftsmanship, Mary Oliver has created a breathtaking volume sure to add to her reputation as “one of our very best poets” (New York Times Book Review).